Film faced plywood is lightweight, resistant to corrosion attack and water, easily combined with other materials and easy to clean and cut. Treating the film faced plywood’s edges with waterproof paint makes it highly water-and wear-resistant. Due to its durability and easily handled surface it can be used in open environment in construction and building e.g. warehouses, railway wagons, floors and sidewalls of trucks etc. Coating the film faced plywood with high-quality import films ensures hardness and damage resistance. The surface of the film faced plywood is hygienic and resistant to strong detergents, which is important for farming constructions and storage of food products. It can be used in conditions of high temperature drop, influence of moisture, detergent cleaning and provides protection against termites. We offer two types of film faced plywood. 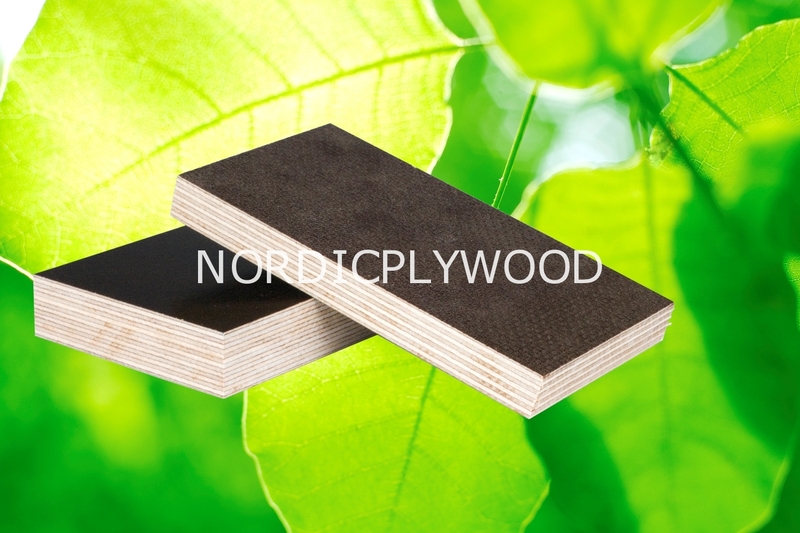 The first being birch film faced plywood which is very resistant to water, easy to clean and cut and one of the world’s best quality plywood’s. Due to its durability film faced plywood is widely used in construction and building and vehicle industry for making transport equipment containers, loading platforms, truck and trailer floors and wagons. This material is also used for making furniture such as chairs, tables, sofas, beds etc. Film faced plywood can also be used to build sliding doors, advertising boards, play ground equipments, floors for sports arenas, smooth concrete casts, scaffolding, hoardings and fencings, packing and in internal & external design and panelling. Film Color : DBO – Dark Brown Opaque. Different colors and film weights are available on request.